Many businesses fall victim to fraud each year. According to the Association of Certified Fraud Examiners’ 2018 Report to the Nations, 2,960 businesses were victims of occupational fraud in the past year at a total loss of more than $7 billion. Small businesses lost nearly twice as much per fraud incident as did large companies. While large businesses suffered a median loss of $104,000 per fraud scheme, small businesses suffered a median loss of $200,000 per incident. 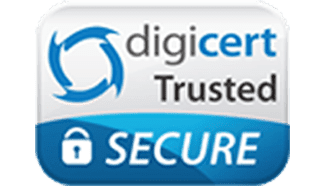 It is important for you to understand the different types of fraud that can occur, the signs of frauds, ways to protect your business and how to report fraud that you discover. There are several different types of fraud that can happen in business settings. Some businesses fall victim to bank fraud, both external and internal. External bank fraud might happen when hackers are able to access account information by sending phishing emails or hacking security codes. Businesses may be at a higher risk of internal bank fraud, however. Examples of this type of fraud might occur when an employee writes checks to himself or herself and fudges the books or embezzles funds in other ways. Employee fraud might also include expense and reimbursement fraud. In these types of schemes, employees may pad their expense sheets in order to obtain reimbursements that they do not deserve. Credit card fraud is also a danger for small businesses. Employees who have access to company credit cards may use them to make unauthorized purchases or to make cash withdrawals from the cards. How can I recognize fraud? There are several signs that your business might be the victim of fraud. You might notice inventory shortages or discover duplicate payments. You might also notice excessive purchases. These might happen when people use purchases with fake payees to try to conceal embezzlement. One common ploy for employees who are committing fraud is to create invoices that have rounded amounts. If you notice that a lot of invoices for your business have rounded amounts, you might want to investigate the employee who has been creating them. Other signs might include past-due notices from the IRS and from other creditors, especially if you have invoices showing that they were paid. To find out your risk for fraud, you might want to use the fraud calculator from Bento for Business. What can I do to protect my business from fraud? ACFE recommends that businesses have strong workplace policies in place that address fraud in the workplace. You should have a training program in place for your employees to help them to recognize the signs of fraud and that encourages them to make reports if they discover it. The number of employees who are able to write checks should be limited, and you should make certain that your books are audited on a regular basis. It is important for you to review all of your account statements and balances every month and to act quickly if something appears to be amiss. 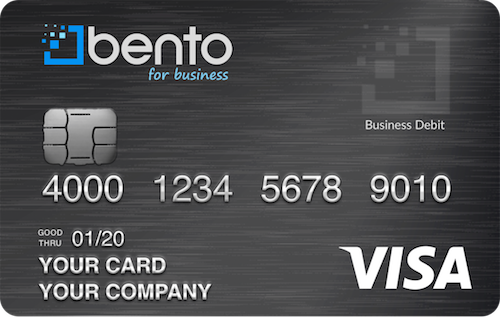 Finally, it might be a good idea for you to get rid of your company credit cards and petty cash systems by getting debit cards from Bento for Business. Learn how to report fraud that you discover to the appropriate government agency. For example, if you discover that your business has been the victim of tax fraud, you can report the fraud to the IRS. The government has a list of agencies to which you can report different types of fraud, including how to report credit card fraud and how to report fraud of all types. One good way to help to prevent business fraud is to get business debit cards from Bento for Business. These cards can help you to prevent fraud in your business so that you don’t need to worry about how to report fraud after you have discovered it. You are able to limit the amount of spending on each card as well as the types of expenditures that can be made according to your individual employees’ job duties. You can see exactly how your money is being spent by each employee at any time by logging into your dashboard. If you see a problem, you can instantly turn an individual card off. The deposits that you make are insured by the FDIC for up to $250,000, giving you an added layer of confidence. To learn more, contact Bento for Business today by calling 866.220.8455, or start your free 60-day trial now.